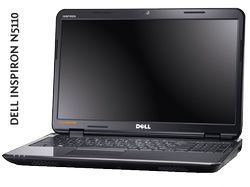 Dell Inspiron N5110 has an experience index of 4.7, which is due to the graphics card. But if the DELL also has a NVIDIA Graphics Card (NVIDIA GeForce GT 525M - 1GB), it is not used by windows to calculate the experience index. So the experience index is not really reflecting the capability of the laptop.